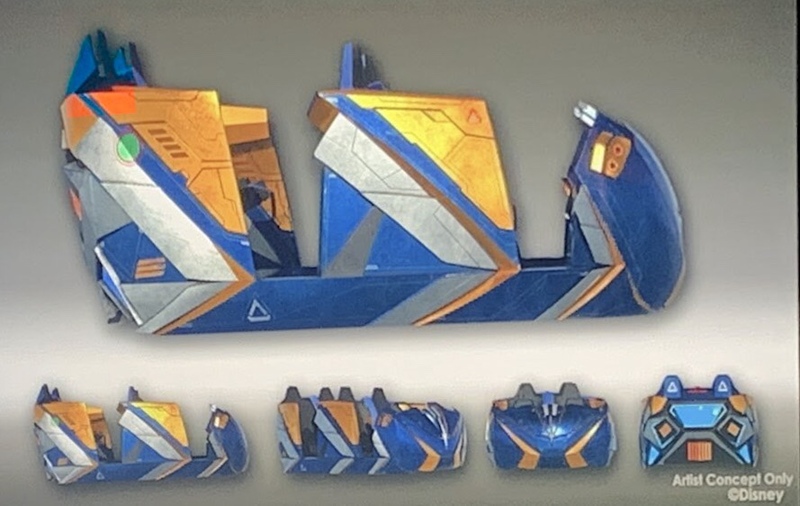 Today at IAAPA, Disney released a first look at the Guardians of the Galaxy roller coaster ride vehicles. Here it is! Bob Chapek was on hand to give us a description of the ride vehicle. It will have “controlled spinning” and is designed as a “storytelling” roller coaster.